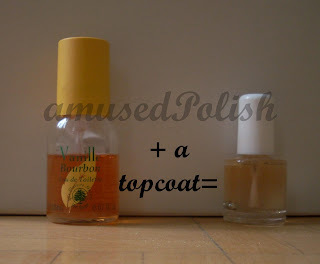 amusedPolish: How about a DIY scented topcoat? Do you love scented polishes as much as I do? Then this post is surely something for you. I read on makeupalley a while ago how to do your own scented polish. (click here if you'd like to read more about it). The idea was originally from theasiangirl. I did it and love how it turned out. The recipe is simple: take a perfume/ your favourite perfume (eau de toilette or eau de perfume*), spray it into an empty polish bottle, add some polish (I like to use a topcoat), add some balls and shake it well. I used approx. 15-20 pumps in this little 8ml bottle, depending how strong you want the it to be.The perfume I used in this picture is the Vanilla Bourbon perfume from Yves Rocher, I love it and have this bottle almost 6,7 years and still haven't used it up because I seldomly use perfume . 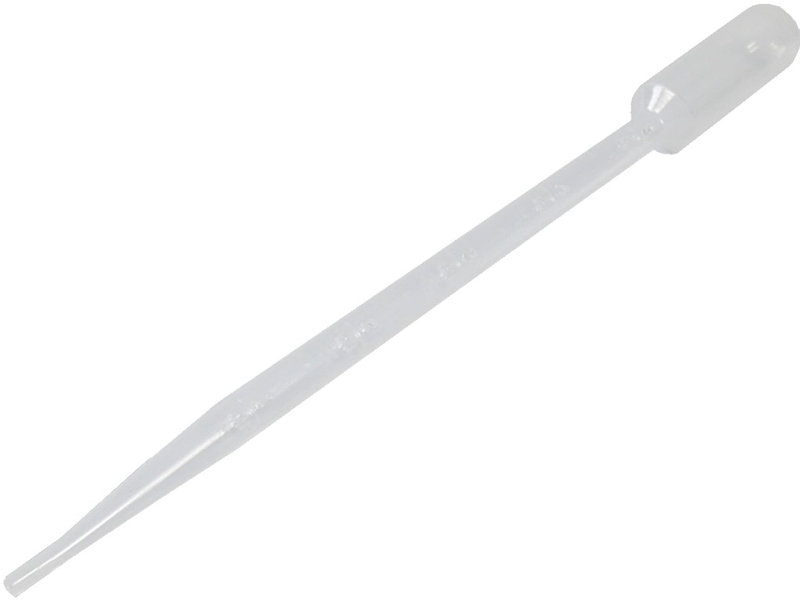 You can also use cheap disposable plastic pipettes like these click if you can unscrew the perfume bottle (and it won't be a big mess). Don't worry if the result may look a bit goopy at first- it'll go away if you shake it well. And you can see that the perfume itself is a bit colored which also causes the polish to be colored too- unless you're bothered by that, you may want to stick to colorless perfumes. Another thing is that I don't know how well it will work with non-B3F polishes (i.e. Seche Vite). *not sure how well it would work with an eau de perfume because I don't have an eau de perfume to test. Oil-based perfumes are not ideal because they would ruin your polish. Edit: I am by no means a scientist and cannot guarantee that the results you imagined would be exactly the same. It may backfire or be just as good, and the results may vary from the topcoat/clear nail polish you use. Also I have not used this with an non B3F topcoat like Seche Vite, so cannot say how these two will react.